Happy Khmer New Year! SA SA BASSAC is closed from 13 April and we re-open on 24th April. Please join curator Vera Mey and exhibiting artist Tith Kanitha for our In Conversation event on Wednesday, 28 March at 6:30pm! SA SA BASSAC congratulates the artists we've worked with on their participation in the 21st Sydney Biennale including Svay Sareth, Nguyen Trinh Thi, and Sa Sa Art Projects co-founders Vuth Lyno, Khvay Samnang, Lim Sokchanlina! Please join us in opening our first solo exhibition with Tith Kanitha on Tuesday, January 16, 2018 from 6-8pm! Public program soon to be announced on facebook. Please join us for double solo openings on 3 October: Klah Klok by Than Sok and New Khmer Architecture:Vessels by Albert Samreth. From September 14-16, SA SA BASSAC hosts the closed-door symposium facilitated by Clementine Deliss and Tran Luong titled "Remediating Collective Memories: Photographic Documents on the Borderline Between Politics and Art" - the first of four roundtables on the future of museums on Southeast Asia, a project of Goethe Institute. Please join us on Monday, July 10th from 6:30 - 8:30PM for the screening of the award-winning feature film By The Time It Gets Dark by Anocha Suwichakornpong’s with a response by May Adadol Ingawanij. Due to pre-election rallies, SA SA BASSAC will be closed on Friday and Saturday, June 2+3. Thanks for your understanding! Dreaming and Driving: Screenings and Talks with artists Chia-En Jao and Davy Chou | Monday, 22nd May, 6:30 - 9:30PM @ SA SA BASSAC. Khmer New Year is soon upon us! SA SA BASSAC will be closed from April 5-15th. Visit us in the New Year of the Rooster - our READ program continues through 6 May. We're open Wednesday-Saturday 10AM-6PM. First press for Yim Maline's Decomposition, with thanks to The Cambodia Daily and Michelle Vachon! Find SA SA BASSAC at Art Stage Singapore's Southeast Asia Forum Exhibition "Net Present Value: Art, Capital, Futures" with works by Than Sok, Svay Sareth and Jakkai Siributr. Thursday 12th - Sunday 15th , January, 2017.
Review of Poetic Topographies exhibition by Ben Valentine at Hyper Allergic. SA SA BASSAC and Sa Sa Art Projects are among the "5 Places to Peruse Art in Phnom Penh", alongside Bophana, Meta House and Java, in Taipei Times. By Dana Ter. Svay Sareth is in residence with NTU Center for Contemporary Art, Singapore through May. Poetic Topographies opens at SA SA BASSAC on Wednesday, 6 April 6-8PM and runs through June 4. Please join us! Futurographies opens at SA SA BASSAC on Tuesday, 9 February 6-8PM and runs through March 26. Please join us! Svay Sareth wins Prudential Eye Award Best Emerging Artist Using Sculpture and Overall Best Emerging Artist in 2016!! Please join us for our January 2016 Public Programs! Full details here. FIELDS: An Itinerant Inquiry Across the Kingdom of Cambodia was launched at CCA Singapore and is now available at SA SA BASSAC - contact us for your copy (in Khmer and English)! Lim Sokchanlina and Svay Sareth open in Weaving The Asian Democracy, Asia Culture Center, Gwangju. Through December 24, 2015. Svay Ken in inaugural exhibition Between Declarations and Dreams, Southeast Asian Art Since the 19th Century at the National Gallery Singapore. 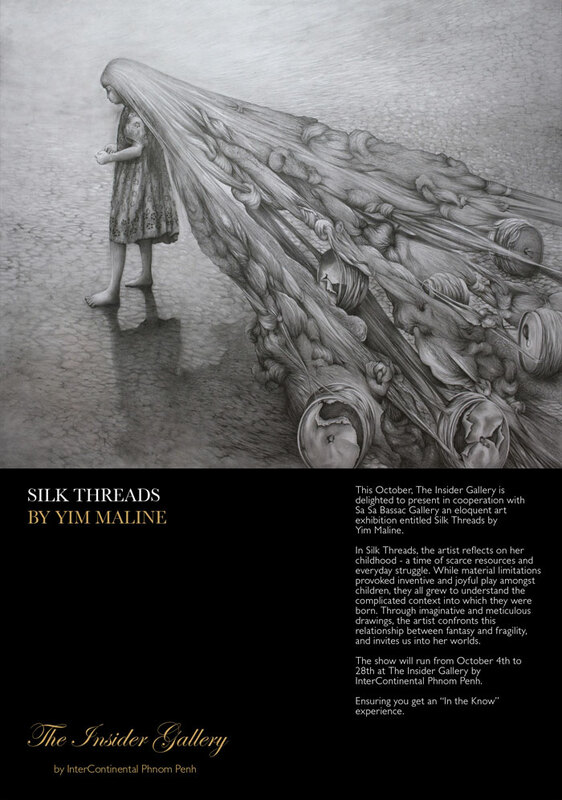 Vandy Rattana and Khvay Samnang open in Celeste Prize Finalist exhibition in Milan! Congratulations to Vandy Rattana on the opening of Hugo Boss Asian Art Prize at Rockbund Museum, Shanghai! The exhibition runs from 30 October, 2015 - January 3, 2016. Lim Sokchanlina opens in the group exhibition "City: Remembrance, Reimagining", curated by Arco/Labs in collaboration with Center for Art and Community Management Surya University Jakarta and Korea-ASEAN. If you're in Jakarta, join the opening tonight! 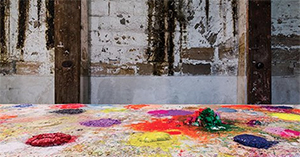 Exhibition runs from 28- October – 08 November 2015. Khvay Samnang in the Dehli Photo Festival as part of group exhibition "I See You See Me" curated by Kanika Anand at Gallery Threshold, New Dehli. Vernissage 23 October at 6pm. Exhibition runs through 15 November, 2015. Khvay Samnang opens a solo exhibition "Enjoy My Sand" at Tomio Koyama Gallery in Tokyo tomorrow, Wednesday 21 October. If you are in Tokyo, please join! There will be a conversation between the artist and Yusaku Imamura (Director of Tokyo Wonder Site) at 18:00–19:30 , 8/ COURT (in front of 8/ ART GALLERY/ Tomio Koyama Gallery on the 8th floor of Shibuya Hikarie). SA SA BASSAC Artistic Director Erin Gleeson opens the solo exhibition Letters from Panduranga by Nguyen Trinh Thi as part of Satellite 8 Program at Jeu de Paume. 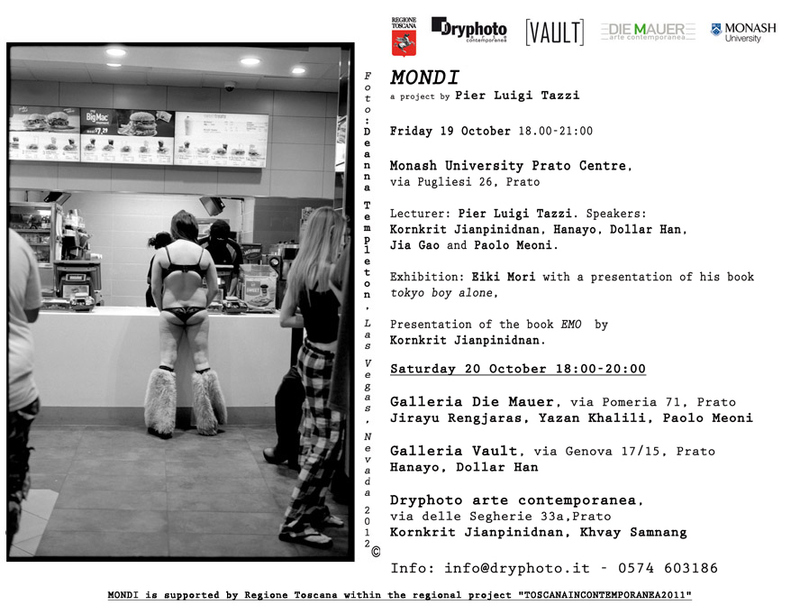 If you are in Paris, please join us for the opening tomorrow, Monday October 19th from 6pm. Exhibition runs through 24 January 2016. Art Radar Asia on Hugo Boss Asian Art Prize Finalists including Vandy Rattana. The newly commissioned works are complete and installation at Rockbund Museum in Shanghai begins in one week! SA SA BASSAC's Community Project's Manager Meta Moeng joins the Salzburg Global Forum for Young Cultural Innovators in Vienna, 17-22 October, with Cambodian Living Arts and with thanks to support from the U.S.Embassy Phnom Penh. SA SA BASSAC is soon to present a solo booth with Svay Sareth at ASIA NOW, Paris Asian Art Fair at Espace Pierre-Cardin, Paris from 20-22 October. Khvay Samnang with Nget Rady for Where is My Land? in Asian Film and Video Art Forum, curated by May Adadol Ingawanij, National Museum of Modern and Contemporary Art, Korea, on Saturday 12th September. Vandy Rattana talks with Emma Ota on Tokyo Art Beat. The Vann Molyvann Project Summer School 2015 is coming to a close at SA SA BASSAC. Please join us for a reception to view the project's many accomplishments on Saturday, 5 September, 5:00 - 8:00PM. Vandy Rattana in the group exhibition Offen at Galerie EIGEN+ART in Berlin, through 5 September. Vuth Lyno and Sa Sa Art Projects in "No Things to Hang" curated by Luisa Tresca | 23 July -3 August at Gaffa, Sydney. CHAN Dany, KHVAY Samnang, and YIM Maline in the group exhibition “And That Which Was Always Known” curated by Roger Nelson at Yavuz Gallery in Singapore, 18 April - 24 May 2015. The film Day by Day by Nguyen Thi Thanh Mai screens at Bophana Center in Phnom Penh, 5pm on Saturday 14 March. Chan Dany, Khvay Samnang, Svay Sareth in Southeast Asia Platform, Art Stage Singapore on 22-25 January 2015. Khvay Samnang in Prudential Eye Awards Exhibition in Art Science Museum at Marina Bay Sands in Singapore on 17 January - 31 March 2015. Khvay Samnang in SEA (Social Engagement Artist / Southeast Asia) at Tomio Koyama Gallery, Singapore on 16 January - 15 March 2015. Khvay Samnang, Lim Sokchanlina, Pen Sereypagna, Tith Khanitha, Amy Lee Sanford and Sovan Philong in "Rates of Exchange, Un-Compared: Contemporary Art in Bangkok and Phnom Penh", an exhibition co-curated by Roger Nelson and Brian Curtain at H Gallery (Sathorn Soi 12), Bangkok, Thailand, opening 4 December 2014. Chan Dany, Khvay Samnang and Nget Rady in Swimming in Sand; Planting Rice Under an Umbrella, No Vacancy, Melbourne, Australia/ parallel programming at National Gallery of Victoria's Ian Potter Centre and Federation Square, 25 November - 07 December 2014. Congratulations to Pete Pin on being awarded the prestigious Open Society Documentary Photography Project Audience Engagement Grant Program! Follow the final week of IN RESIDENCE, NYC!